The chairman and managing director of Balmoral Group was given the Outstanding Contribution honour at the Subsea UK Awards at the AECC. It is the latest in an impressive haul of awards for the Aberdeen businessman, whose career spans more than five decades. 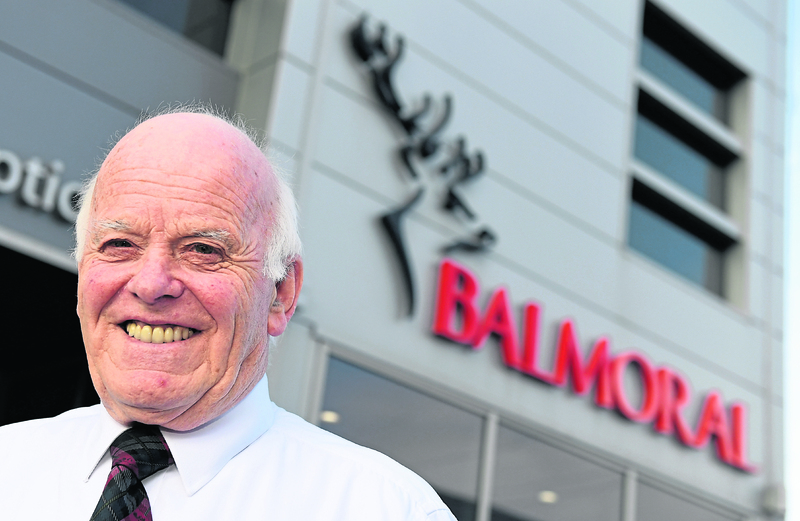 Mr Milne set up Balmoral Group in 1980 with just five employees and has since built the engineering services group up to a workforce of nearly 500. The 78-year-old has received a number of top honours during his time in the industry, being made a CBE in 1994 and given an honorary doctorate from the Robert Gordon University five years later to mark his achievements. According to the last Sunday Times Rich List, he was worth an estimated £162m in 2017. In September 2016, he was inducted into the North Sea industry “hall of fame” at the Press and Journal Gold Awards. Along with its new subsea testing centre, Balmoral Group made several new investments last year including an acquisition of pipework company Servomac. It also increased its interest in the renewables sector with the takeover of Seaproof Solutions, a supplier of cable protection systems to the offshore wind industry. Mr Milne said the new investments ensured Balmoral is well placed to capitalise on increased activity in the oil and gas market, and to face the future even in the uncertainty of Brexit. More than 600 people attended last night’s ceremony. Alongside Mr Milne, Motive Offshore Group was given the company of the year accolade. Royal IHC won the Global Exports award and Infinity Oilfield Engineering was named Best Small Company. The Innovation and Technology gong went to C-Kore Systems, while JFD was recognised with the Innovation for Safety Accolade. Ryan Fernando, of Aker Solutions, received the Emerging Young Talent award. The awards ceremony is took place following the second day of Subsea Expo, Europe’s largest conference and exhibition for the sector. Neil Gordon, chief executive of Subsea UK, said: “After a number of challenging years for the subsea industry, it is welcoming to see sector growing again. The constant support from businesses demonstrates the industry is looking to progress further.